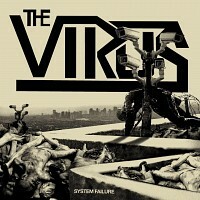 The Virus are an American street punk band from Philadelphia, formed in 1998. The band split in 2004 and have had numerous line-up changes, with guitarist Dave Preno remaining the constant. The band reformed in 2013 and as of 2017, the band features Dave - guitar, Paul Virus - vocals, Josh Howard - bass, Zima K. - guitar and Tyler Capone on drums. Releases include the 2000 debut album: "Still Fighting for a Future", plus: "Nowhere to Hide" (2002) and 2017's: "System Failure".